Redtenbacher’s Funkestra delivers “out-and-out spectacular funk,” says London DJ and percussionist Snowboy. “The Funkestra has got that ‘what is hip’ attitude…more deep grooves than a 78 rpm record,” enthuses George W. Harris, Jazz Weekly. 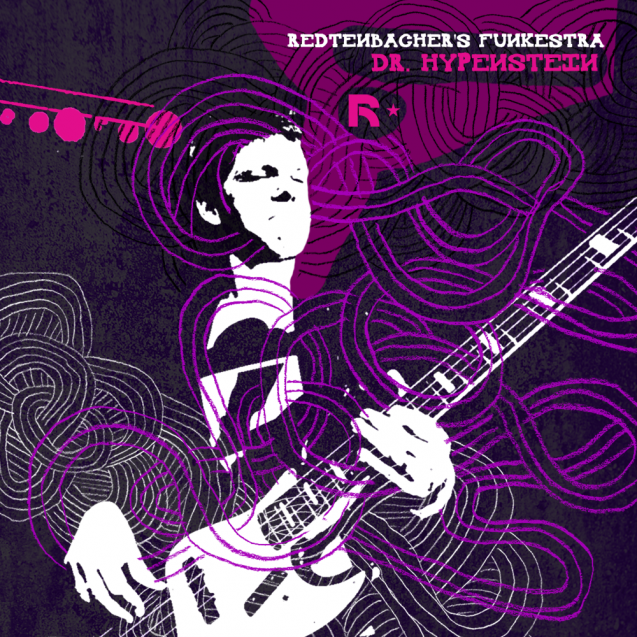 On “Dr Hypenstein”, Redtenbacher’s Funkestra brings their danceable brand of funk to 2015, laying down 13 of their funkiest grooves yet, from the fluty can’t-stop-your-feet sounds of the title track to the heavy crunch of “Swagger,” then letting the atomic dogs out with “Cave Canem” and the percolating “Funktionality.” Pre-order today! This is the eighth album from Redtenbacher’s Funkestra, which regularly performs at (and packs) London’s legendary 606 Club and other established London venues. Guest musicians have included Fred Wesley, Alfred “Pee Wee” Ellis, “Doc” Kupka, Lee Thornburg and Lenny Pickett from Tower of Power, Eric Krasno of Soulive, Stanton Moore of Galactic and the horn sections from Prince, Incognito and The Brand New Heavies. The Austrian-born Redtenbacher fell for Herbie Hancock and Maceo Parker early on, then studied at the Vienna Conservatory and Boston’s Berklee College of Music, and has recorded and performed with legends including Steve Winwood, Jack Bruce, Amy Winehouse, Lulu, Mica Paris, and Herb Alpert. Thank you for your support – as always hugely appreciated.